Beets, known botanically as Beta vulgaris, are native to the Mediterranean region. Although people have been eating the leaves since before written history, the root of the plant was generally used medicinally until Roman times. It did not become an internationally popular food until French chefs recognized the appeal of roasted beets in the 1800s. Beets grow in cool weather and store well, so residents of northeastern Europe embraced the colorful bulb, turning it into a warming, nutrient-packed soup called borscht. Dozens of recipes take it in many directions, adding meat, other vegetables and sometimes grains. It makes a strong summer appearance in the Baltic region too, in a cold version that may be served chunky like gazpacho or pureed with cream like Vichyssoise. It is estimated that about two-thirds of commercial beet crops end up canned, some in the pickled version that scared American kids away from the Thanksgiving relish tray. Beets also produce nearly 30 percent of the world's sugar, and beet powder colors many foods. Some brands of frozen pizza use beet powder to give the tomato sauce a crimson hue, and it can be used to tint candy, ice cream and powdered drink mixes. It can even stand in as makeup to brighten your cheeks or lips. 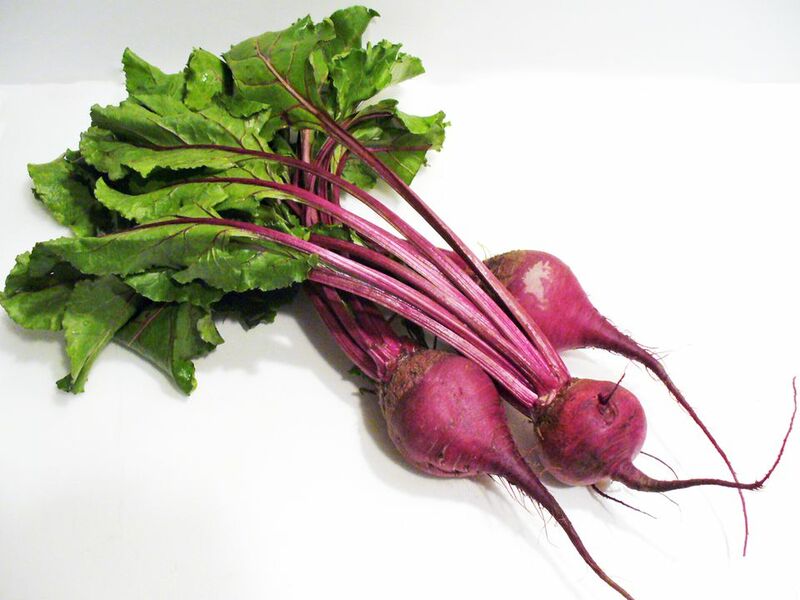 The earthy flavor of beets, a result of the chemical geosmin, tends to polarize people. Everyone seems to either love them or hate them, such as with cilantro, licorice and blue cheese. But you can acquire a taste for beets, and modern American chefs have run with the early inspiration of the French, giving you plenty of opportunities to practice enjoying them. In fine dining restaurants you may find roasted beets paired with goat cheese and walnuts atop a salad or leaking their color into a pasta dish. Beets get chopped into veggie burgers, shredded for slaw and blended into hummus. You may even find them as a hidden ingredient in brownies or chocolate cake. Like other root vegetables, including potatoes, parsnips and carrots, beets roast particularly well, turning crispy and sweetly caramelized. But the versatile vegetable can also be boiled, steamed or eaten raw. Some cultures consider beetroot juice an aphrodisiac, and health advocates tout it as a superfood, citing a rich supply of antioxidants. You can mix it with other juices such as apple, carrot and ginger or blend it into a smoothie. The most common garden beet is a deep ruby red in color, but yellow, white and even candy-striped (with red and white concentric circles) varieties are available in specialty markets. The vegetable called Swiss chard in the United States is a subspecies of Beta vulgaris cultivated for the leafy greens. In Britain, beets are generally referred to as beetroot.